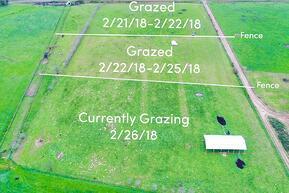 Above is an example of the rotational grazing schedule and overlap of species on our pastures. 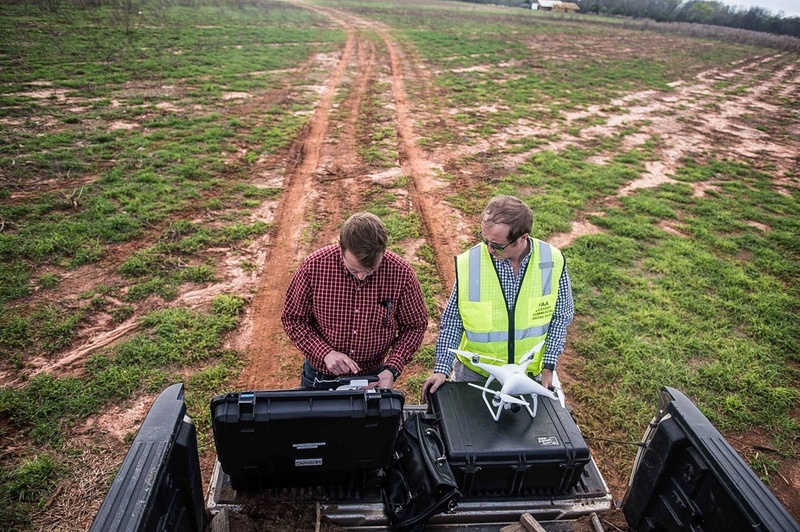 "This drone is a powerful tool with a range of impressive, cutting-edge capabilities. However, with great complexity, comes great complications! 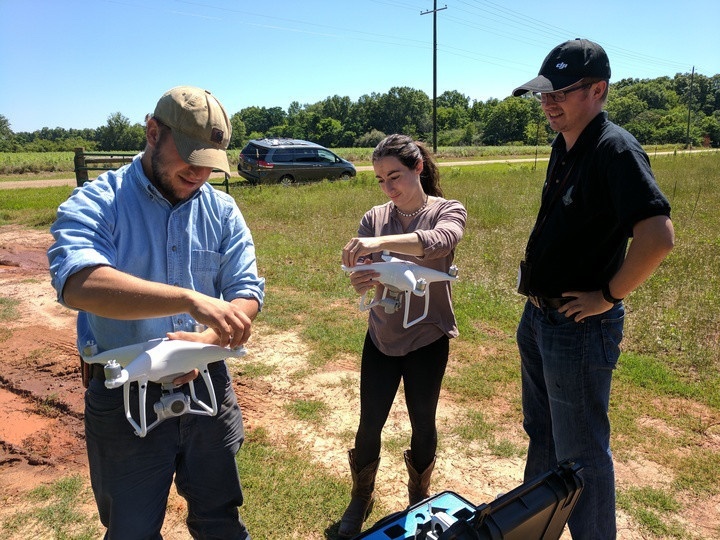 Skyraiders has provided on-call technical troubleshooting support and helped us select the proper drone and software for our farm’s specific goals. We use the DJI Phantom 4 Pro with the software platform Drone Deploy. 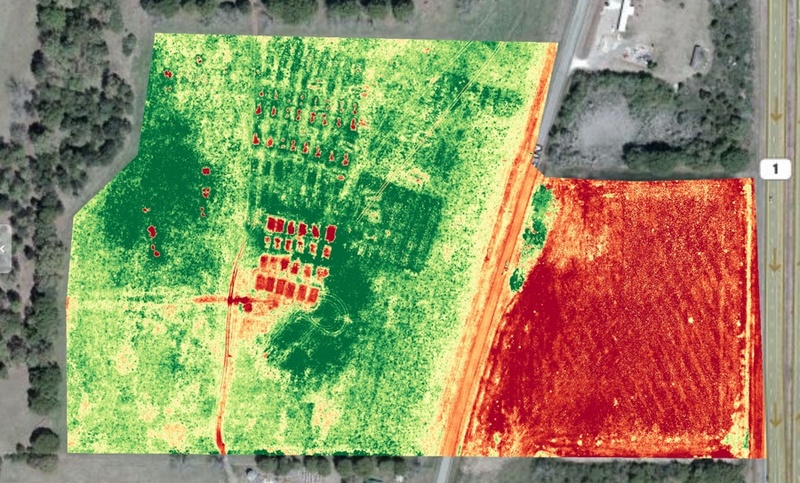 Drone Deploy utilizes the drone's capabilities to generate orthomosaic-based 3D mapping, elevation mapping and plant health mapping - NDVI (Normalized Difference Vegetation Index) analysis. 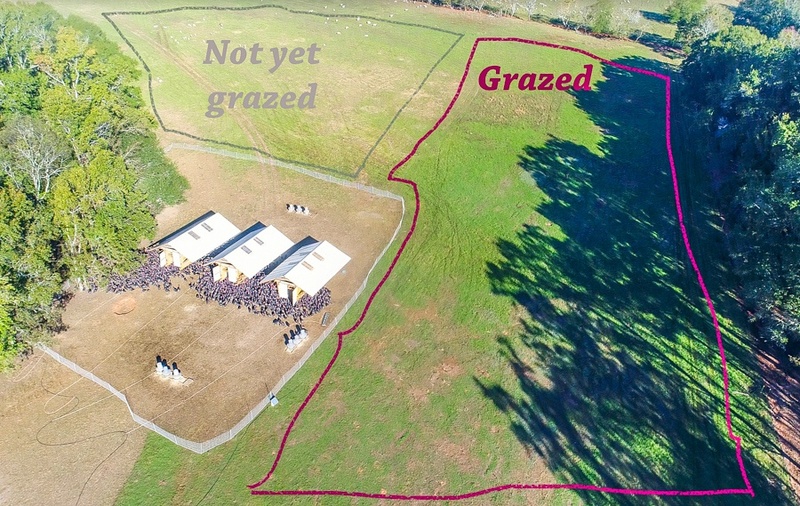 We are a 2500-acre, pasture-based farm in south Georgia raising 10 species of livestock using a regenerative model. 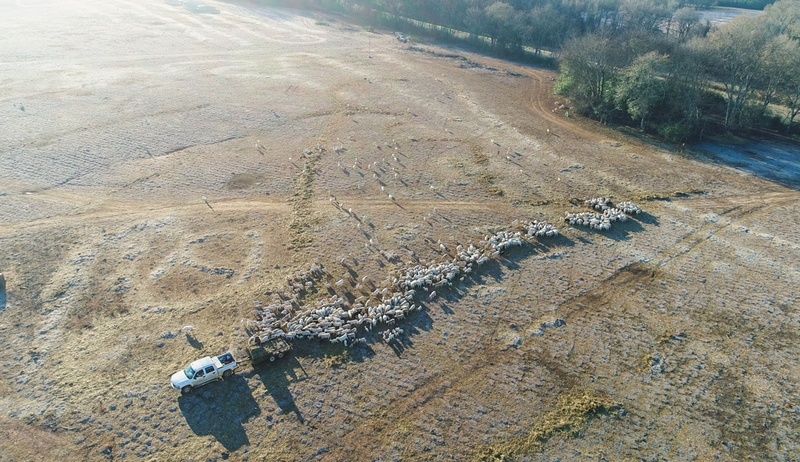 We are a Savory Institute Hub; therefore, it is essential that we effectively communicate the long-term positive impact our livestock grazing has on our pastures. 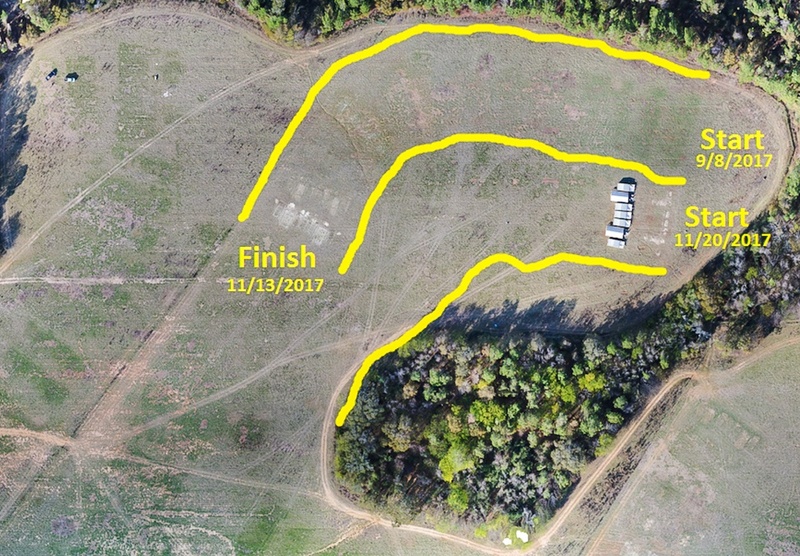 The drone has provided a unique opportunity to do this. 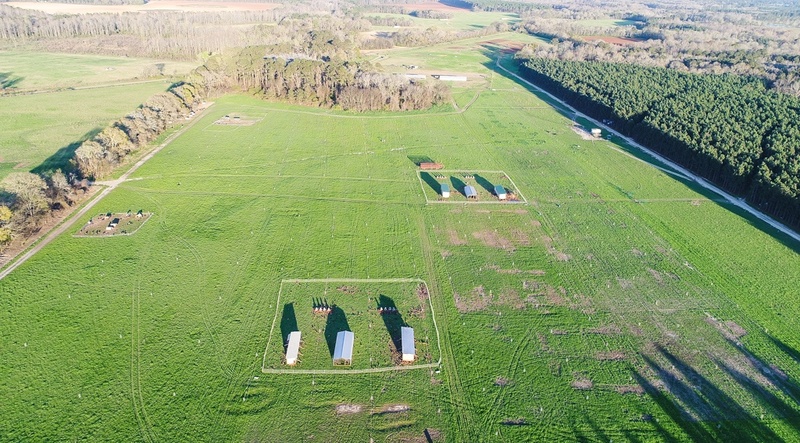 Skyraiders has helped us create automated, pre-mapped flights to monitor the paths of our pastured poultry houses. 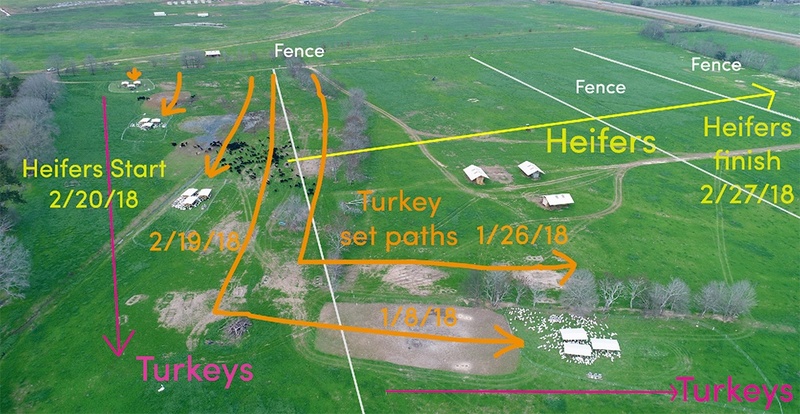 We move our broiler chicken houses and turkey houses every three days and use our drone to map the movement. 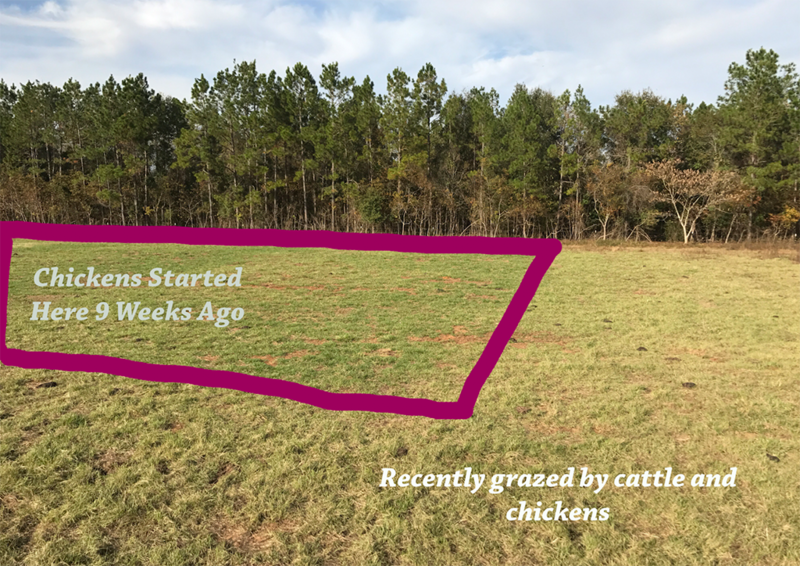 The mapping has several goals, one of which is to provide an aerial visual of the stark affect pastured poultry has on our pastures. Our poultry tails demonstrate the benefit of added nitrogen from our poultry manure. Additionally, over the course of several months, we can see the benefit that poultry pecking and scratching has as it aerates the soil. It is also crucial, from a biosecurity standpoint, that poultry are not on the same ground for a three-year period. 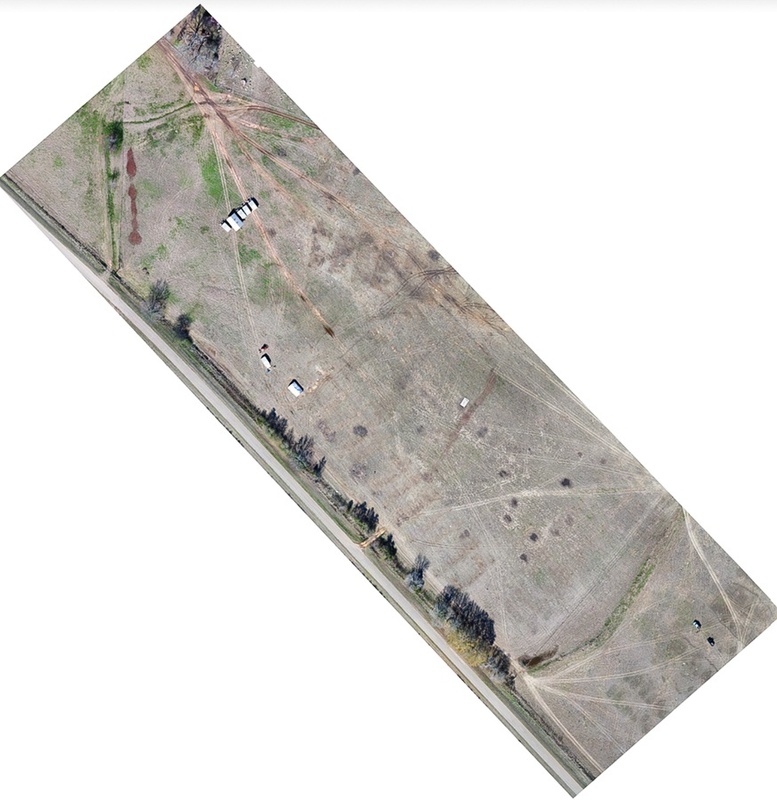 Our drone images will help us plan the courses of our houses in the future. 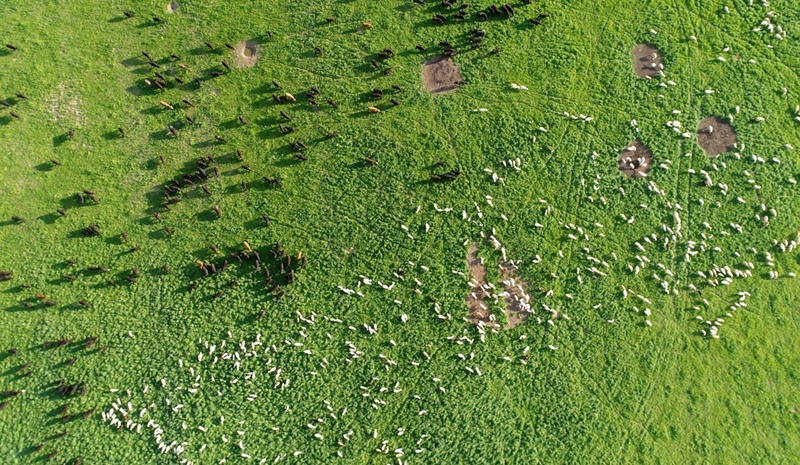 We have used the drone to create aerial images demonstrating a ruminant grazed pasture, an ungrazed pasture, and a pasture that has been grazed by both ruminants and poultry. 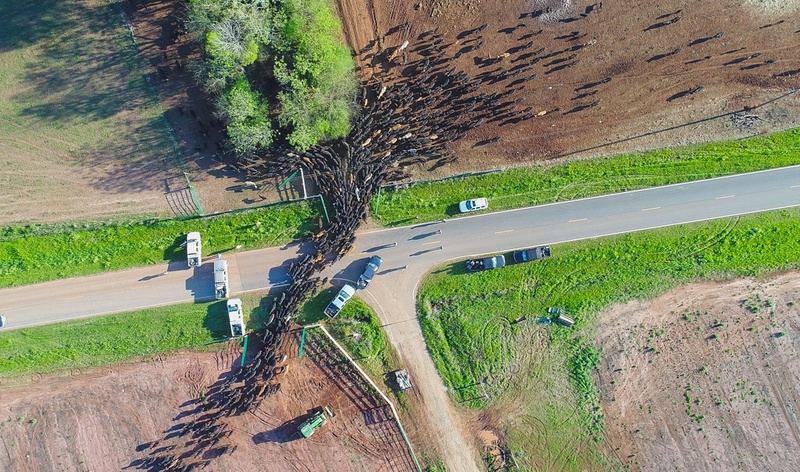 These images help our followers understand the power of animal impact. We are part of Savory Institute’s science-based EOV Program- Environmental Verification Program. 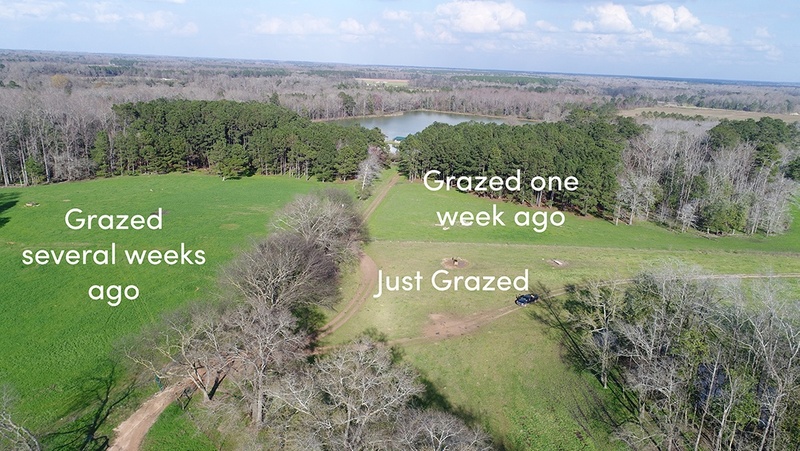 We are excited to use our aerial drone photography to demonstrate long-term changes in our pastures and contribute these images to the EOV database. 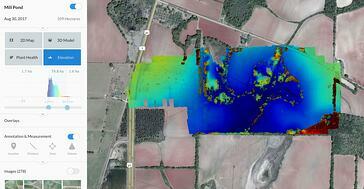 Farmers deal with long-term changes over large stretches of land. Drones have afforded us an invaluable new way to demonstrate these changes to the public. Our farm’s mission is land regeneration. In particular, we have made a practice of turning industrially farmed row-crops into productive, organic pasture land. This is a long, arduous task. 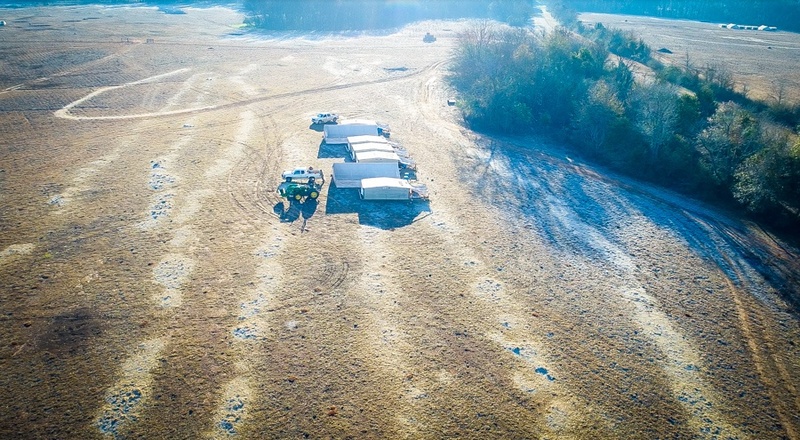 The drone photography provides a powerful visual to communicate the changes in the land over time. 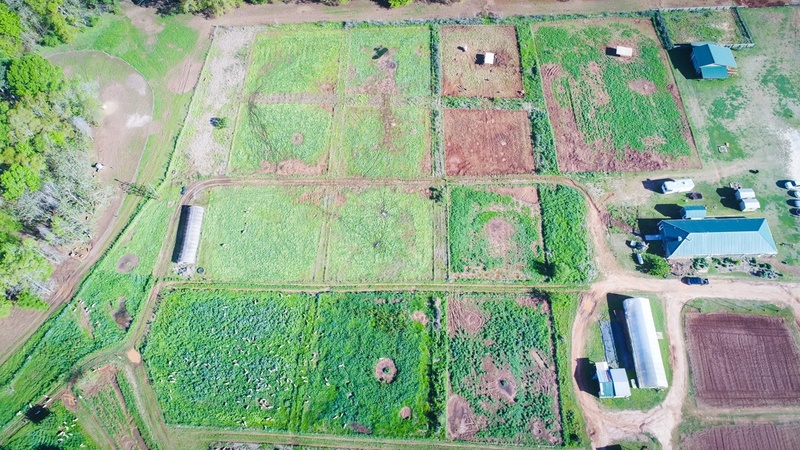 The drone has also given our farmers an opportunity to view experimental projects from an aerial perspective. 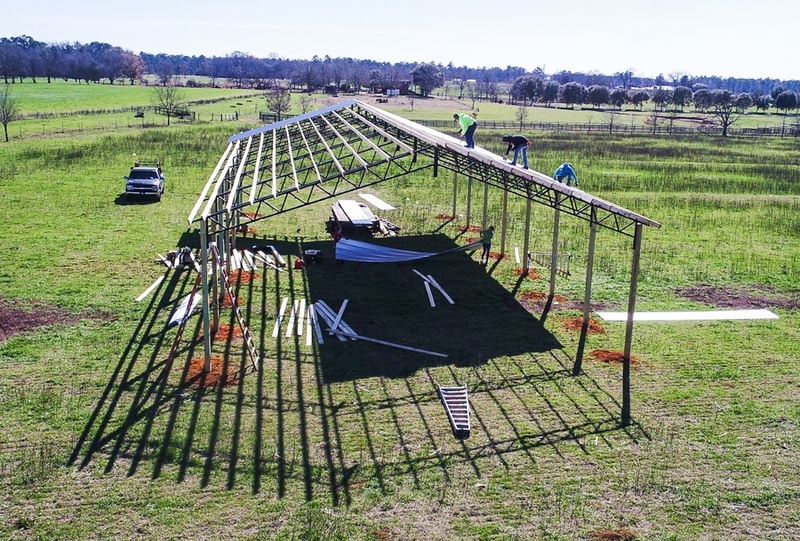 The visual images give us the ability to understand the scope and layout of several of our experimental projects on the farm. We are always striving to be a better version of ourselves, and we see the drone’s versatile technology as a unique tool to accomplish this. Skyraiders’ constant availability and guidance has made all of these projects possible. They have helped us streamline all of our endeavours, walking us through the complicated steps. They also assist us with equipment maintenance. They monitor our flight time and automatically send us new propellers and supplementary gear as the need arises. We would not be able to have multiple drone projects operating simultaneously if not for Skyraiders. Their reassuring, accommodating presence has given us peace of mind as we enter this new realm of media and monitoring".